So sorry I missed posting yesterday, guys! I was watching my sister’s kids while she and her husband went on a date yesterday afternoon/evening. Day 12: Helen has been obsessed with walking the past few days. It was funny and amazing to see her so determined to learn how to walk. 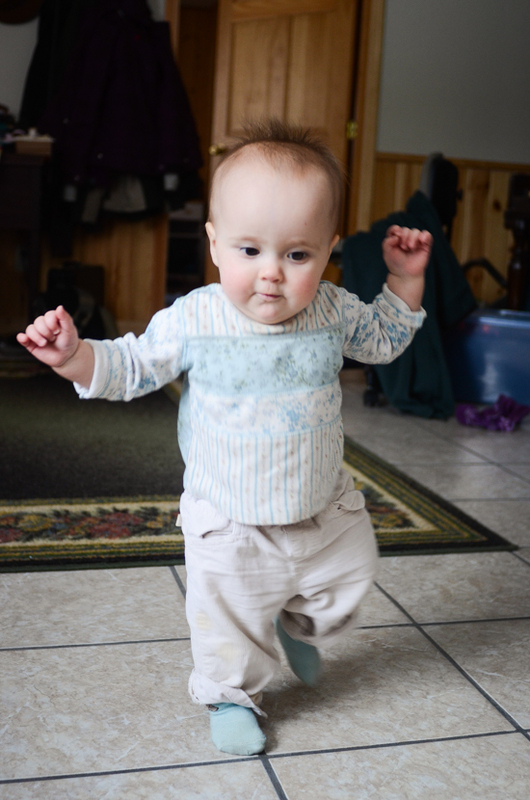 She taught herself how to stand up without assistance and was toddling around crazily. I can’t believe I’m already the mother of a “toddler!” You can see a short clip of her walking here (I’ll post a better video when I write up her ten month update). A delicious breve (breve > latte) made by my bro-in-law. Yummy. Rachel: She just turned 10 months on Friday. 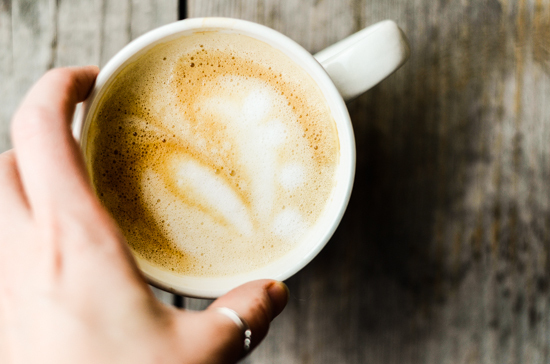 :) Yeah, I’m kind of addicted to cream – lattes seem much less flavorful now.